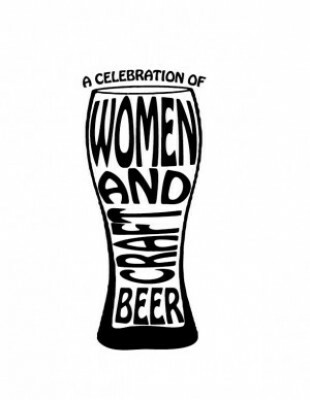 (DOUGLAS, MI) — In recognition of the growing trend of craft beer consumption by women, Saugatuck Brewing Company is hosting an afternoon “Celebration of Women and Craft Beer” on Sunday, May 5 from 2-5pm in its Singapore Room. The event is free and open to the public. Annette May – the first female Certified Cicerone* in the United States and beer manager at Merchant’s Fine Wine in Dearborn will share the story of her life journey, the Cicerone program, trends in the industry and will also offer a session on beer styles, with samples. A Cicerone is a term used to classify a guide who is well versed in the styles, history, flavors and complexities of the craft beer world – with various levels offered (Certified Cicerone, Master Cicerone) and is comparable to a sommelier in the wine industry. Amy Sherman – chef and host of “The Great American Brew Trail” – which premiered in 2012 on WOTV4 in West Michigan – will host a beer and cheese pairing around 3:15pm. Some 40 guests will have the opportunity to participate in this experience (a minimal fee will be charged). · Liz “ET” Crowe – Owner of Wolverine State Brewing Company and award-winning romance novelist. · Laura Houser – Brewer at Founders Brewing Company in Grand Rapids, Beer City USA. · Kati Spayde – Certified Cicerone, award-winning homebrewer and blogger/staffer atSiciliano’s Market in Grand Rapids. · Dianna Stampfler – President of Promote Michigan and publicist for the Michigan Brewers Guild. A drawing will also be held at the end of the day, for a variety of Michigan beer related items – including two (2) tickets to the popular Summer Beer Festival coming up in July in Ypsilanti. A highlight of the day will be the all-event brewing by Laura Houser of Founders and Jenny Vonins of Saugatuck Brewing of a celebration brew with sales of bottled proceeds donated to Sylvia’s Place, Allegan. Also, commemorative women’s shirts will be available with proceeds to benefit Sylvia’s Place. According to an article that appeared in the Milwaukee Journal Sentinel in late March, beer has passed wine as the beverage of choice for women ages 18 to 34. Julia Herz, craft beer program director for the Brewers Association trade group, said women in their 20s and 30s are in “the sweet spot” for craft beer consumption. They’re the same quality-minded people who are buying artisanal cheeses and fair-trade coffees and who don’t mind waiting for a bartender to shake a craft cocktail.